Mount the blade to a steel table and drop a 50 pound weight on the steel from 4 feet. Here he's just lining up the weight. 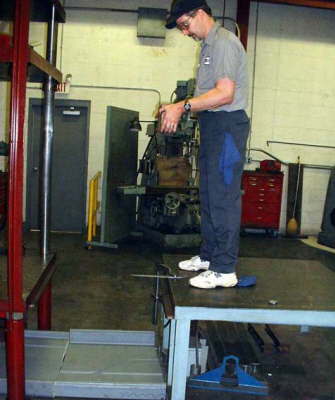 Later the test was conducted with a 6 foot drop. Same effect... it launched the slab of steel like a rocket. The blade was undisturbed.